GHD: As networks of economic and social power, cities succeed by virtue of their size, density and diversity. Cities spawn new ideas, businesses, and cultural and artistic understanding. They are the social and economic engines of our time. In Australia, where nearly 90 percent of the population lives in cities, they are thriving. Sydney is projected to nearly double in population by 2060. Enduring growth requires investment – in new infrastructure, the natural and built environment, and economic development. This is a well-recognised phenomenon, and plans are being made by all levels of government and industry to meet the opportunities presented. Many have pinned their hopes for enduring growth on the Western Sydney Airport, a major infrastructure project that has been moving forward for decades and is scheduled to break ground this year. Like ports, railroads, and interstate road systems before them, airports have emerged as the engines of the global economy. Along with them, the concept of an ‘aerotropolis’ has evolved from early models as a collection of concentrically programmed rings around an airport to the highly interdependent ‘network of networks’ being crafted today. An aerotropolis is a regional cluster of development that is planned to occur on and around a multi-faceted airport to gain maximum leverage from the economic opportunities it can bring. The theory behind it acknowledges the transformation of airports in recent years from passenger hubs to complex commercial operations and the rapid growth in air travel and air freight that is occurring as a result. The term refers not only to the broad range of commercial activities located on successful airports (referred to as ‘Airport Cities’) and on surrounding land, but also the related activities emanating from the airport along transport corridors, leading to the ‘Edge Cities’ that can be up to 30 km away. Aerotropolises are usually subject to multiple jurisdictions, often blending inputs from federal, state and local governments, as well as resident and business interests. John Kasarda, a leading developer of the concept globally, describes an aerotropolis as more than a plan. It is a strategy that is more than land use; more than programming commercial access to the airport and more than a sum of its parts. It is the product of comprehensive economic, environmental (built and unbuilt) and infrastructure planning. It is a product of a clear assessment of precedents, geographic and technological advantages, challenges, and demographics. These master planning efforts have to be approached as an economic strategy intimately bound to a detailed, networked urban plan. To facilitate the success and growth of the airport to be a catalyst for economic development and jobs. Simply stated, “if the airport does not succeed and grow, the potential windfall of jobs and economic stimulus does not eventuate”. To safeguard the wellbeing of residents, now and into the future. These aspirations are compatible. For example, rail connections supporting the growth of the airport can reduce risk to companies contemplating locating nearby, whilst providing efficient connections for residents that reduce congestion. Adequate buffers around the airport will protect its critical curfew-free status and provide flexibility into the future, but also safeguard residents from adverse effects such as noise and air quality. Liverpool City Council is an advocate of a green aerotropolis because green technologies and practices will reduce emissions and other adverse impacts on our residents, improve the liveability of the region, and increase the efficiency of airport operations to create a powerful competitive advantage in a highly mobile and competitive sector. GHD, a global engineering, architecture, environmental and construction services consultancy, has been working in and around the Western Sydney Airport for close to ten years. Noam Maitless, GHDWoodhead’s Director of Architecture and Urban Design, and Acting National Director for Transport Facilities, has received multiple international awards for aerotropolis masterplanning. He states that “aerotropolis master plans, while complex and unique to each urban landscape, generally focus on three broad areas – global economics, local intelligence and environmental leadership”. Global economics: an aerotropolis succeeds at scale, and must enable the region to compete in the global market - minimising barriers to the creation of highly productive urban centres, existing and emergent industries, research, health and educational opportunities. Local intelligence: airport cities work best when they work for the majority of people, ensuring meaningful development, existing jobs, community needs, and cultural heritage are respected throughout their development and implementation. Environmental leadership: an aerotropolis should leverage the infrastructure-intensive nature of airport development in the service of environmental redevelopment; finding ways to mitigate, restore, and protect agriculture and open land, and wisely managing natural resources throughout the region. Many policy and planning efforts have focused on the emergence of the Western Sydney Airport, including the federal Department of Infrastructure, Regional Development & Cities, NSW Department of Planning & Environment, Greater Sydney Commission, Transport for New South Wales, and local councils. Liverpool City Council has published “Liverpool: the Gateway to Sydney’s Aerotropolis”. 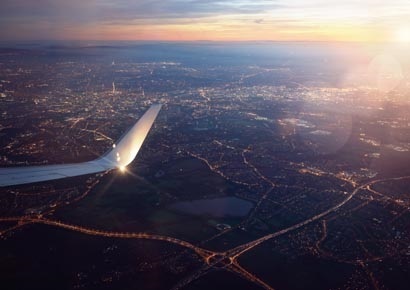 While focused on the Liverpool area, the discussion of aerotropolis principles in the study are relevant on a much broader scale and can provide meaningful guidance to many municipalities in the Western Sydney area and beyond. The NSW Department of Planning & Environment, in a 2013 Structure Plan, provided a blueprint for the Broader Western Sydney Employment Area (BWSEA). They have recently been working on an interim Land Use and Infrastructure Implementation Plan (ILUIIP) with Liverpool City Council and Penrith City Council. The Greater Sydney Commission has released its draft District Plan for Western Sydney, highlighting how multiple stakeholders have come together to create the kind of Western City District Sydney should aspire to. Further iterations of these types of studies and plans will be important steps in shaping the Western Sydney Aerotropolis, helping to coordinate the need for land use, economics, transport, and infrastructure planning on a strategic level. This work and others represents the culmination of a period of exhaustive research, stakeholder outreach, policy analysis, environmental, economic, and land use planning. They anticipate the impact the Western Sydney Airport will have on the region, acknowledging the need for an aerotropolis to channel the economic value the airport will bring. As a group these documents should help direct numerous policy efforts and billions of dollars of investment to the region. A clear indicator of that investment will be evident in the Western Sydney City Deal, to be announced over the next few weeks.